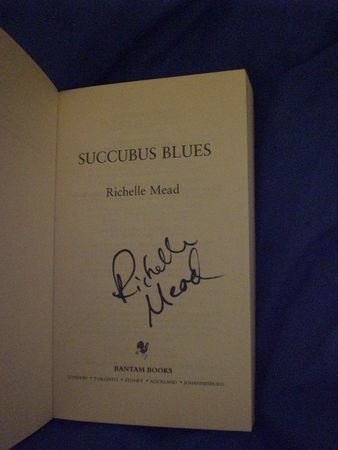 I’ve been in London this week end and I’ve found some signed novels by Richelle Mead! 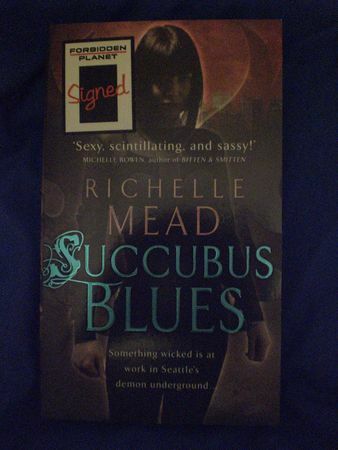 I was so happy I’ve bought several ones ^^ And I’m going to give away one copy of signed UK version of Succubus Blues (see pics below). 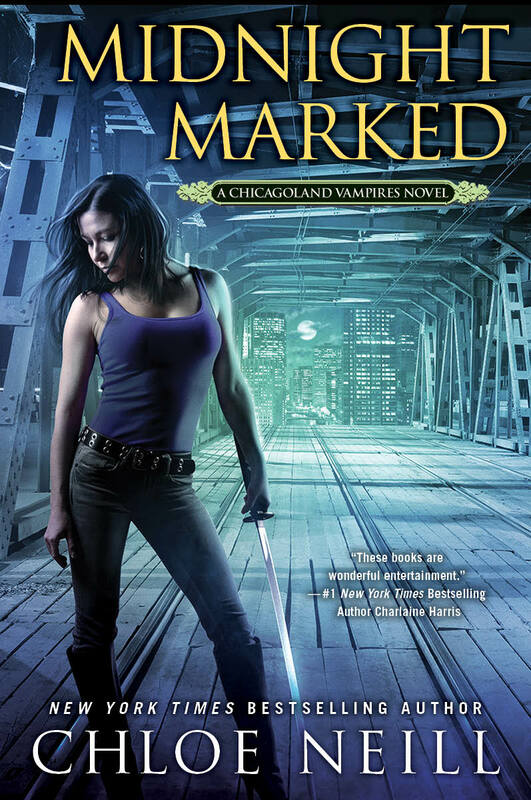 In bonus, the first 5 persons who entered the contest will win one bookmark from PitchDarkBooks, given to me by the lovely Amy Plum (author of Die for Me). 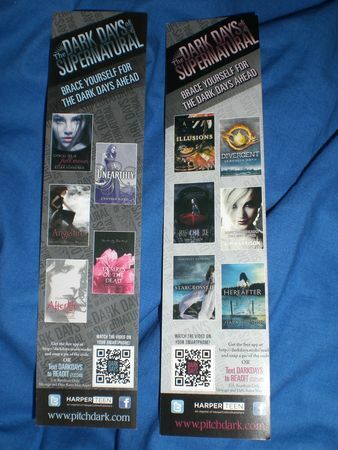 The pic shows the front and the back of the bookmark. The giveway is open to international and runs from Wednesday, March 9th to Saturday, March 19h 6PM EST (US) or 12AM (France). The winners will be announced shortly after. Déjà merci beaucoup pour le concours 🙂 Et le lot !! Waww en plus j’ai les succubus uniquement en version numérique alors un exemplaire papier signé, le rêve !!!! 🙂 je croise fort les doigts. Alors je sais pas s’il faut laisser un commentaire en anglais ou en français ^^ comme j’ai un peu de mal à écrire en anglais (bizarrement pas pour lire) je le fait en français, désolée :(. Et je ne sais pas non plus si c’est ma série favorite dans les séries de Richelle ou dans toutes les séries qui existent 🙂 Donc je vais partir sur celles de Richelle ^^ Dans celles de Richelle c’est Vampire Academy 🙂 j’ai eu un gros coup de coeur pour cette série, comme beaucoup de gens. Pour l’univers, pour les personnages (Ah Dimitriiii *soupir* j’ai déjà essayé une fois de passer du côté obscur d’Adrian ça n’a pas marché, donc je reste fidèle cette fois) et puis Rose surtout qui est une héroïne comme je les aime. J’aime également beaucoup Succubus (même si je n’ai lu que le premier, shame on me) par contre je trouve que Dark Swan est un peu en dessous des deux autres (là encore je n’ai lu que le premier donc peut-être que ça s’améliore). So, here, I think I’m done, thanks a lot for this contest Fran !! 🙂 See U on twitter and Congratulations for this wonderful blog in english, I really admire you because I wouldn’t be able at all to write blog notes in english !! Tu as gagné 1 marque page, félicitations! Et bonne chance pour le reste du concours. Et dans mon enthousiasme et ma précipitation j’ai oublié de te remercie *pars sa cacher de honte* donc merci beaucoup à toi !!!! And in general, right now, I want to say The Hunger Games, even if I also Love Harry Potter and Twilight. 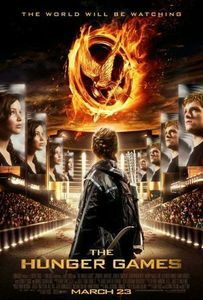 Hunger Games still obsesses me, a long time after I finish the series… To chose, I will say the last book is my favorite… It’s so powerful, so beautifully written and terrible in its story… And what happens to Peeta… to Prim… Oh my… just the thought of that… So amazing series…. You’ve won one bookmark, congrats! And good luck for the contest. And then, to finish I’ll talk about another series lol : it was hard because there are so many, in particular twilight, Harry Potter and The Hunger Games, famous series that I love, but instead I picked the books of Maggie Stiefvater ; I don’t know how to call her series, is it the wolves series ? Anyway, that’s the series with Shiver, my favorite. This book is so beautiful, actually it’s the style of Maggie that I love, so sweet, like a feather.^^ She has a very delicate way to right. I’m really sensitive about that. And I also love the two main characters, they are real, in particular Grace who was not meant fo being a hero who will kill many monsters as Rose, but with her sweet, gentle temper I simply like her, it’s a friend I could want to have. And she’s not crying all the time, that’s the point. :p And if I love Shiver in particular it’s because I found the beginning of the relationship between Grace and Sam very cute, I liked the way they try to know each other. But in fact it seems like an evidence, as the way they simply sleep together, like it’s been years that they are together.^^ But the whole series (the two first books actually lol) is beautiful, I mean the books themselves, just take a look at Linger : when you open the book, you have the feeling of being in a forest, everything is green : the cover, the first page, the letters ! They made a pretty work on it, I was really impressed. I think Maggie’s series is called The Wolves of Mercy Falls series but I’m not sure. It’s a great giveaway! Fran you’re the best for the contests! I know! lol But you’ve got plenty of bookmarks. 😉 By the way, I recommend to you to read Succubus series, it’s good. Vouiiiii! (Voui exist in english? lol) Amy is so cute! As Pisinat I don’t know if we have to chose among Richelle’s series or any series, I’ll talk about two series ! I’ll say the third one. I love the last one mostly because of Rose & Dimitri but I love the third one, for them too, but also for the whole book, the whole atmosphere. There is romance : how they come closer, how they breake all the rules one by one because they have to, they can’t do otherwise. There is action : the whole field experience, it’s not just about knowing how to fight, but also be ready all the time, make priorities, collaborate. The last fight with the Strigoï. There are feelings (other than romantic) : the whole story about Adrian/Lissa/Christian. Children who learn how to fight, learn also how to feel when loosing a friend in battle. This book (and I know the others too, but I really feel it in this one) is all of that and I was really in the world, feeling everything. And Richelle Mead succeed to make us feel it while reading her book. But, as I said at the beginning, I will talk about another series because it’s my favourite series, I can read it again and again, I’m bored. It’s “La Belgariade”, in fact the whole series is composed by two part “La Belgariade” and “La Mallorée” (in fact there are 4 more books but only one the life of 2 characters). The whole series, couting everything, there are 14 books. This is a fantasy series written by David Eddings. It’s harder than VA to choose which book is my favourite. Let’s say the fourth book. In this book, you know, like personally, all the characters who are important for the series “La Belgariade”. And when I say “you know”, I mean that they are like a friend, you know how the character reacts, you know when and why a character is joking about another character. At this moment of the series, it’s like you are with them, you travel with them. Why do I love this book? Because this book means a big moment. All real identity, which is still hidden, are revealed to the whole world, to all characters. The big quest is not over yet but the first one is : reveals what it shall be revealed. Wow… I think it takes me 1hour to write all this. So I will finish this comment by telling you thanks for this new contest. I wanted to try this new series so this contest is at a good time. Thank you TiitCullen! I didn’t know La Belgariade but I’m not fond of fantasy universe so I don’t think I’ll read it. You’ve won one bookmark, congratulations! And good luck for the contest! I think, even i f I didn’t read a lot of fantasy (just 6 series), for somebody who want to try this kind of reading, La Belgariade is easy to read and not boring at all. haaaa mais il est super ce concours 😉 un roman signé par richelle mead, je veux je veux ! Ooooooh merci beaucoup pour le MP! Pour la série Succube je me suis arreté au tome 2 et là j’attends l’édition de poche pour rédecouvrir cet univers! Je n’aime pas trop les couvertures de Succubus en poche, mais effectivement c’est un bon moyen de lire la série parce que les grands formats reviennent chers c’est clair. Je ne sais pas vraiment par où commencer… J’ai découvert Richelle Mead avec Succubus lors de la sortie du premier tome chez Bragelonne. Ca a été une vrai révélation! Depuis je suis toutes ses séries, j’ai biensûr les version française. Mais aussi les Succubus éditions Bragelonne et France Loisirs, les allemands qui sont magnifiques, les livres Américains et prochainement les japonais. Pour les VA et plus des trois premiers tome en français, j’ai les ai en anglais et un avec la couverture rouge (je cherche desesperement les autres). Enfin Cygne noir, tjs en français et les trois tomes anglais. WOW tu es vraiment une grande fan! Et tu n’as toujours pas de livre dédicacé? Sur le site de Richelle, il y a un lien vers un site où tu peux commander des livres personnalisés (mais les frais de port sont énormes). Les livres anglais avec la couverture rouge peuvent être achetés en Angleterre, j’ai vu pratiquement toute la saga dans cette édition à Londres la semaine dernière (je n’aime pas trop du coup je n’ai pas acheté). T’as de la chance ! Je connaissais pas les livres de Richelle Mead au moment de ET3 et donc j’ai pas fait la séance de dédicace… maintenant je m’en mords les doigts !! Alors pour ma part, c’est clairement VA. J’ai de suite accroché et une fois plongée dedans, je n’ai plus pu m’arrêter. Je crois qu’au départ, c’est surtout la personnalité de Rose qui m’a fait aimer la saga. Elle a ses défauts, mais elle est loyale au possible, badass et a un sens de la répartie assez énorme. Au delà de ça, et ce qui est plutôt rare pour moi, j’ai vraiment aimé beaucoup des personnages plus ou moins secondaires. Je suis pas fan des triangles amoureux, mais pour le coup, ça pouvait vraiment basculer d’un côté comme de l’autre et je voyais l’intérêt de l’intrigue. Sans compter qu’il y a de l’action, ce n’est pas que de la romance. Bref, j’adore. Tout ne m’a pas plu, ce serait trop beau, mais je suis juste très heureuse d’avoir suivi tes conseils de lecture. Merci en tout cas d’organiser ce concours et bonne continuation avec tes blogs. Ma série préférée est VA. Au début, j’avais pas trop envie de la lire, les couvertures ne me plaisent pas et les histoires de vampires j’en avais déjà lu beaucoup.Mais ça été un coup de cœur ! Ça faisait longtemps qu’un livre ne m’avait captivé autant. Les personnages sont attachants, il y a de l’action.On ne s’ennuie pas du tout. Mon tome préféré est le 3eme,la fin est incroyable ! Encore merci pour ce concours et bonne journée ! Ah oui c’est clair qu’il ne faut pas s’attarder sur les couvertures! Je ne suis pas fans des couvertures avec des personnes dessus, mais c’est la tendance sur les couvertures US, c’est dommage! Alors ma série préférée de Richelle Mead est Vampire Academy, tout simplement car c’est la première que j’ai découverte. Les personnages sont de plus en plus attachants au fil des tomes, on vit vraiment leurs aventures à leur côté et on ressent tout ce débordement de sentiment qui ne peut nous laisser indifférent. Richelle Mead a vraiment le talent incroyable de nous donner l’impression de faire entièrement parti de sa série. Merci pour le relais Kahilan! Je me rappelle aussi la première fois que j’ai lu un “Richelle” 🙂 C’était encore à la sortie de Succubus Blues 😛 J’avoue que j’ai regretté d’avoir autant traîné pour lire VA (que j’ai découvert en mai 2010 grâce à ton blog, d’ailleurs : un tout tout grand merci !) ! J’ai lu tous les livres de Richelle, même ceux qui sont moins bons. Et franchement, entre Succubus et VA, mon coeur balance : ce sont des séries tellement différentes, l’une pour adultes, l’autre pour jeunesse … Je ne peux pas les comparer ! Tout d’abord, il s’agit d’une série très originale, la seule à présenter une histoire d’une créature différente, un succube. Georgie est une héroïne comme on les aime : forte, intelligente mais qui réussit toujours à se fourrer dans les ennuis jusqu’au cou. Une dernière petite chose : rares sont les livres qui réussissent à me faire passer par tout un panel d'émotions : je m'énerve, je ris, je rougis, je pleure, j'ai peur … Tout ceci à travers une seule série. Bref, un exploit ! c’est super sympa d’organisé un tel concours ! Pis Rachel Mead que je découvre avec Vampire Academy me plais bien !! Il faudrait que je tente Succubus aussi ! First thanks for the giveway! My favorite Richelle Mead series is vampire academy (very original right?lol) I’m totally in love with Dimitri and and I like the female character vwhich is does not happended to often and I have to say that Adrian is not so bad. My favorite book in this series is the fourth one because Adrain appears more frequently. I agree, Rose is one of my most favorite heroin! « Ma série préférée de Richelle Mead n’est pas V.A (même si j’aurais pu la choisir juste pour Adrian) mais la saga Succubus. Et là, je crois que c’est le concours à gagner, je croise les doigts ^^. Georgina est une héroïne qui sort du lot de plus sa condition de succube est pratiquement inédite dans la littérature. Elle n’est pas gnangnan et mièvre comme la plupart des héroïnes de roman. Seth est… Seth, loin d’être l’homme parfait et méritant la plupart du temps une bonne paire de claques mais c’est ce qui fait son charme (et il a des nièces adorables !). Succubus Dreams est mon tome préféré. Mes livres favoris sont toujours ceux qui me font pleurer. C’est dur de pas spoiler mais je dirais que c’est surtout la fin qui m’a fait choisir ce tome plutôt que le 1. Maddie vient mettre un peu de piquant dans la relation G/S.